Learn How Difficult Consultations Could Destroy You in CSA & How to Avoid Them « ROCK YOUR CONSULTATIONS, GET MORE MARKS! 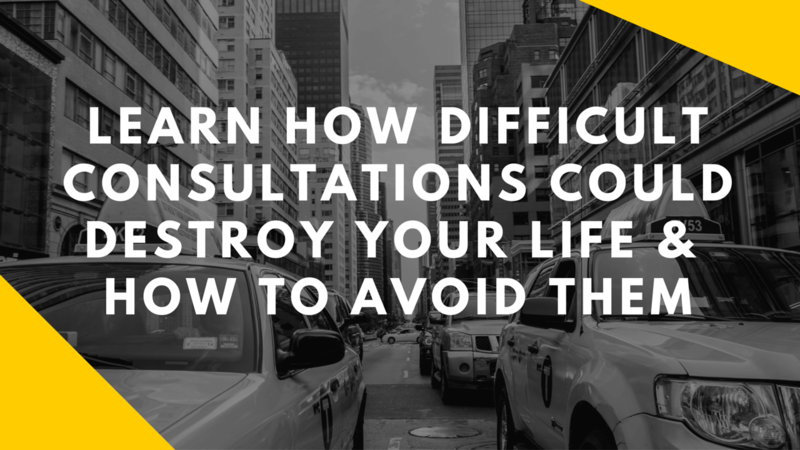 Learn How Difficult Consultations Could Destroy Your Life & How to Avoid Them! Why challenging consultations are bad for you and could be a costly mistake and how to avoid them. How to tackle when you encounter a patient who is angry, manipulative, demanding, or downright nasty, sometimes these patients can make you question why you became a doctor in the first place. Know what is ‘HALT’. Interactions can be more difficult if the doctor is ”H.A.L.T” & How to avoid them. How to use strategies to cope with difficult patients to achieve a satisfactory outcome to a consultation. Learn how to manage angry, aggressive or demanding patients with example cases. Watch the Webinar Replay Now! Help me make this SUPER valuable for you! What would be the BEST outcome from this training? What’s the biggest challenge in your consultations right now? Join CSA SmartSuccess Course Now! If you’ve any doubts/ questions, share them in the comments below!